If you are looking for the most affordable way to move, and who isn't these days, then you have just found an excellent way to save thousands of dollars on your moving expenses. Keep reading to find out how you can save. Don't Hire A Moving Company! You just read that right. You may not think that a company that helps people locate moving companies would be saying something like this, but if you are looking for the most affordable way to move, then you need to quit thinking about hiring a moving company. 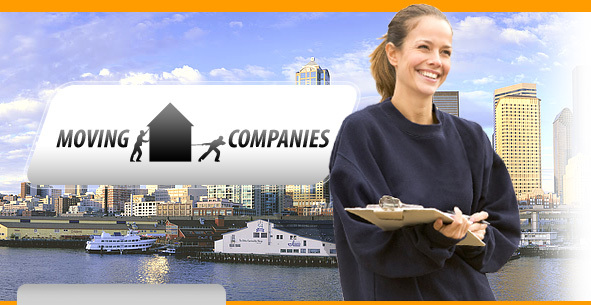 Hiring a moving company might be the fastest and easiest way to get them move done, but it is also the most expensive. In order to save some money, you are going to need to roll up your sleeves and put a little bit of work into the move. By choosing to do the move yourself, you can drastically lower your moving costs, and that is the goal that everyone is trying to achieve. Now that you know the secret to keeping your move affordable, it is time to start getting things done. If you are going to be doing the move yourself, then you need to locate a rental moving truck. You can't load all of your personal belongings into your car and transport it from your old location to your new location. There is a really good chance that you will have acquired a lot of personal items. This means that you are going to need to rent a moving truck. Don't let the idea of this fool you. Renting a moving truck is simple because we have done almost all of the work for you. You will not have to search for local companies within your area that supply rental trucks. We have a large network of companies that offer rental moving trucks at exceptional prices. All you need to do is use our quick and easy form, and you will have plenty of quotes from companies that supply rental moving trucks. Our unique network of truck rental companies works so efficiently, that you will have plenty of great price quotes to go through. Choosing the lowest price quote may not always be the best choice. There are other things to think about as well. You need to think about a location of the rental truck company, and you need to make sure that they offer the service that you need. Some moving truck rental companies offer one way service, and others will require you to bring the moving truck back to the location where you picked it up. One way service is usually the most convenient. Now that you know the most affordable way to move, you need to start getting prepared. You should have chosen a rental truck company, and the next step is to start packing everything. This might seem like a daunting task, but it is really quite easy. Just go through each room and determine what you are going to keep. It might even be beneficial to create a list of everything you are going to keep room by room. Being prepared is the best way to have a successful move.